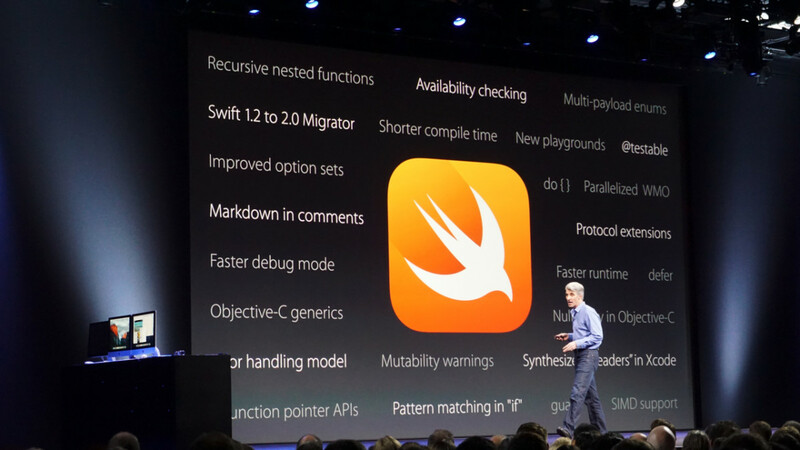 While developers are having fun digging into Swift as an open source language, we can also start looking forward. In releasing Swift 2.0 to the community, Apple is also tipping its hand about Swift 3.0. A GitHub repo dubbed ‘Swift Evolution’ gives a lot of insight about the direction Swift is heading. First point of interest is that Apple isn’t expecting to release Swift 3.0 until the Fall of 2016 — not at WWDC (unless Apple moves the date of their annual developers conference from Spring to the Fall). But it might be worth the wait. Apple claims APIs will lose the ’NS’ prefix to make them more streamlined and usable across platforms — another interesting notation. According to Apple, it will “make Swift available on other platforms and ensure that one can write portable Swift code that works properly on all of those platforms.” It’s already available for Linux, but Apple doesn’t note what other platforms Swift may arrive at. Generics are also improving. Apple writes that Swift 3.0 will have generic features for its standard library, a needed change as Apple is working to stabilize the ABI.